You may notice that you can't make changes to a custom question/field from the campaign editor once you've added it to your campaign. 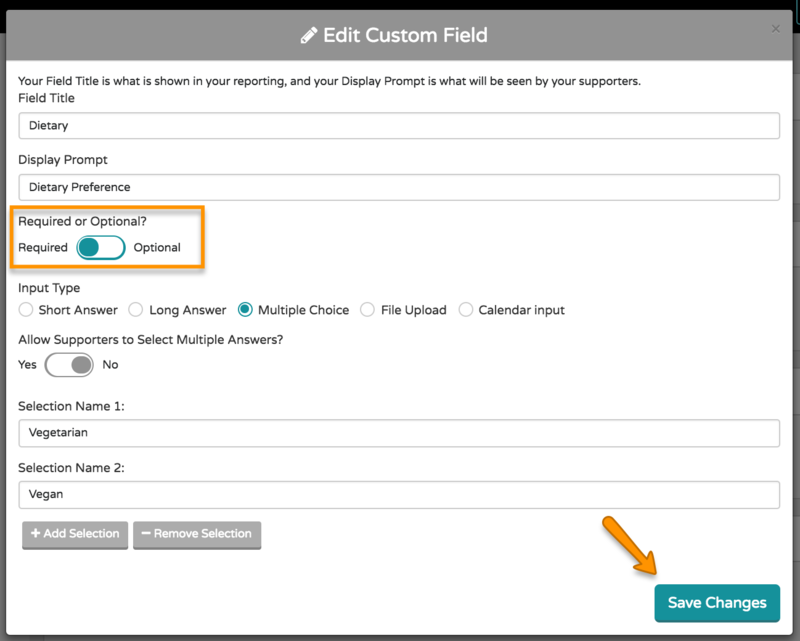 To make updates to existing questions/fields, you'll want to click on Custom Fields from your Flipcause Dashboard main menu. Navigate to the question you'd like to change and click Edit. Make the changes needed and click Save Changes. Keep in mind that this is also where you will want to specify if this question is required or optional. This will update this question in all of the campaigns in which the question has already been added. The updates here are propagated to all related campaigns automatically. This means that this change will be effective immediately on all live campaigns in which this question is included, and no additional steps are necessary to publish the change.